Discussion in '2D' started by angelofmercy, Mar 21, 2019. 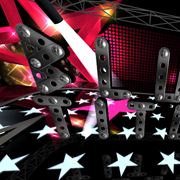 The result can be used in BluffTitler and web pages. What is a colour font? 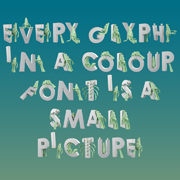 A colour font is a font in which every glyph is a picture. 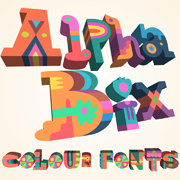 Other names for colour fonts are bitmap fonts, multi-coloured fonts, chromatic fonts, photo fonts, picture fonts, image fonts, raster fonts, texture fonts and handmade fonts. 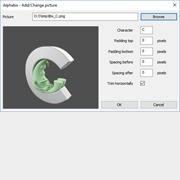 Alphabix can convert any TrueType, OpenType and Type 1 font installed on your system. Any glyph can be replaced by any PNG, BMP, GIF, TIF or JPG picture. Alpha channels are correctly imported. 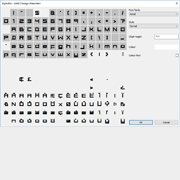 In the glyphs dialog you can set the spacing for every glyph as well as the baseline and the cap height. 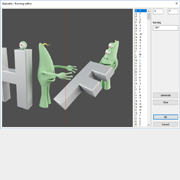 In the kerning dialog you can adjust the spacing between specific pairs. Choose FILE > New... to import an OpenType-SVG colour font. Mark the Colour font checkbox. 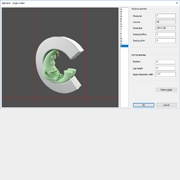 Choose FILE > Import Photofont... to import a Photofont (.PhF). 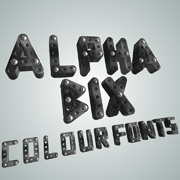 Colour fonts created by Alphabix can be used by the text and scroller layers of BluffTitler. 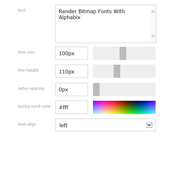 Click on the Select colour font... button in the font dialog(<F6>) to select a colour font. 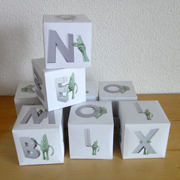 Alphabix can create cut-outs for letter cubes. Just enter the names you would like to write and the cut-outs are generated fully automatically. The algorithm has been optimized to write as many names with as little cubes.